Truck Wallslide can be customized to fit your specific needs. 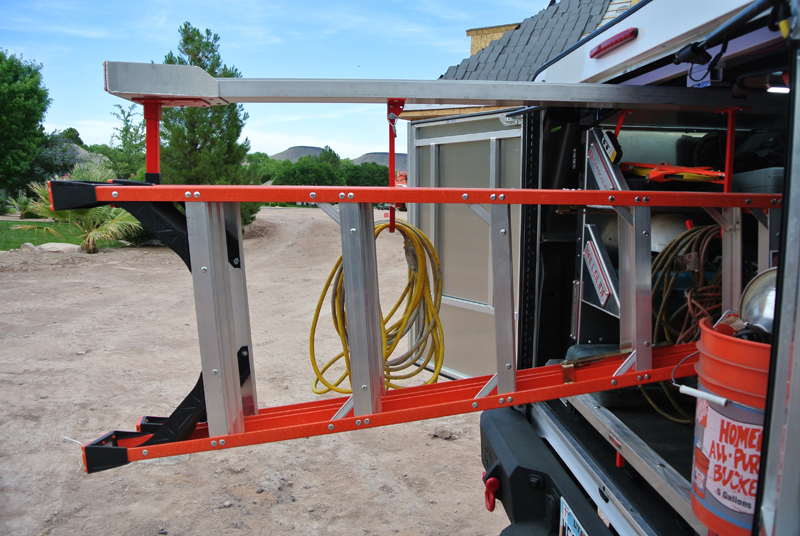 The Steel Framework delivers aluminum walls straight to you at chest height to grab your tools and materials. 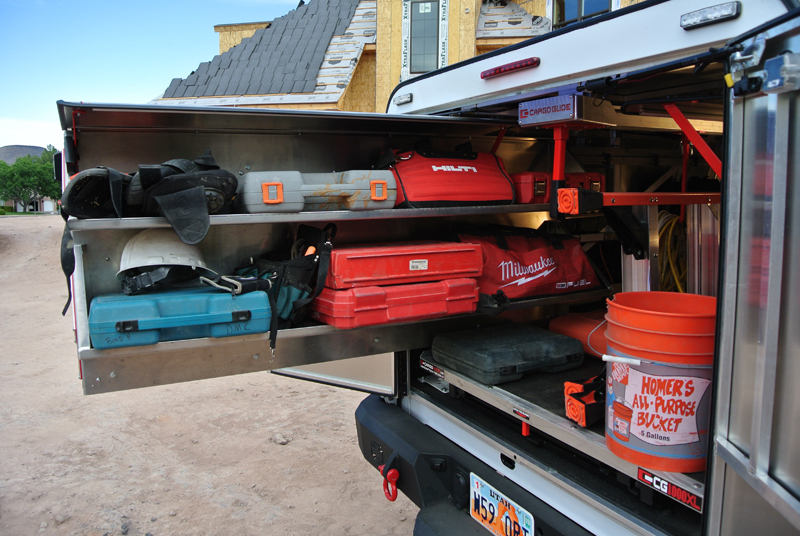 Customize the shelving for your business. 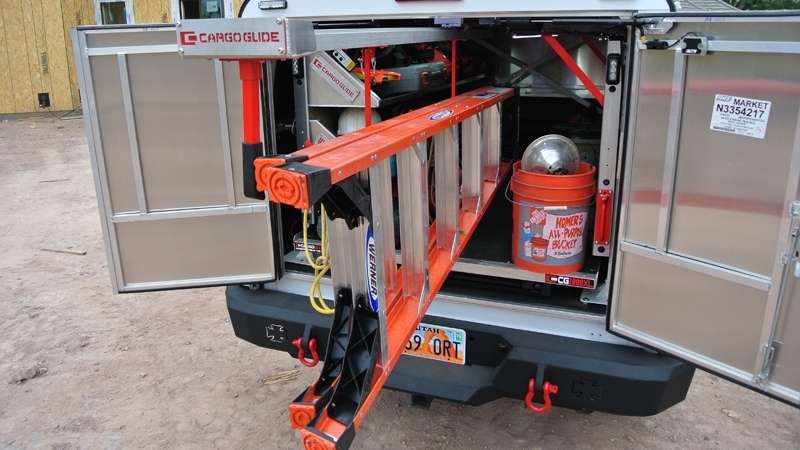 A ceiling slide rail will safely store your ladder out of the weather. 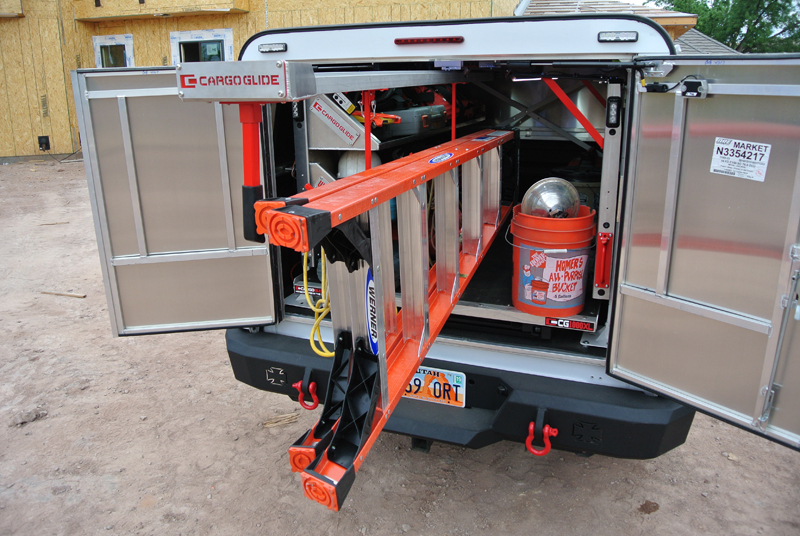 CargoGlide Truck WallSlide allows everything stored on a fixed shelf, drawer, or bin to roll out to you at chest height. 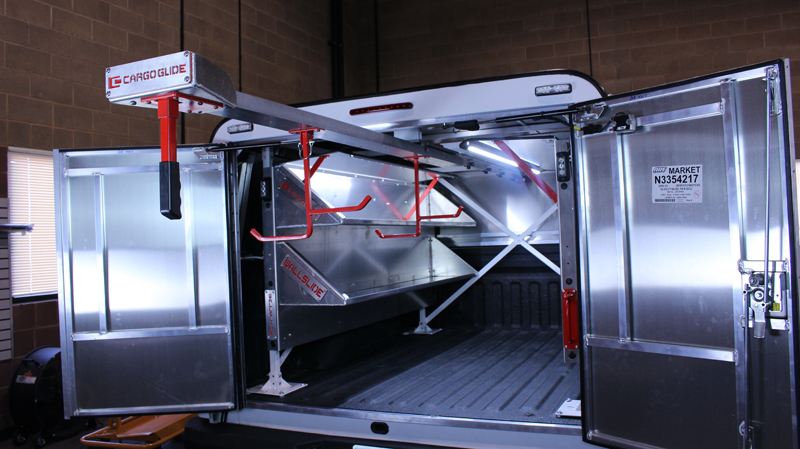 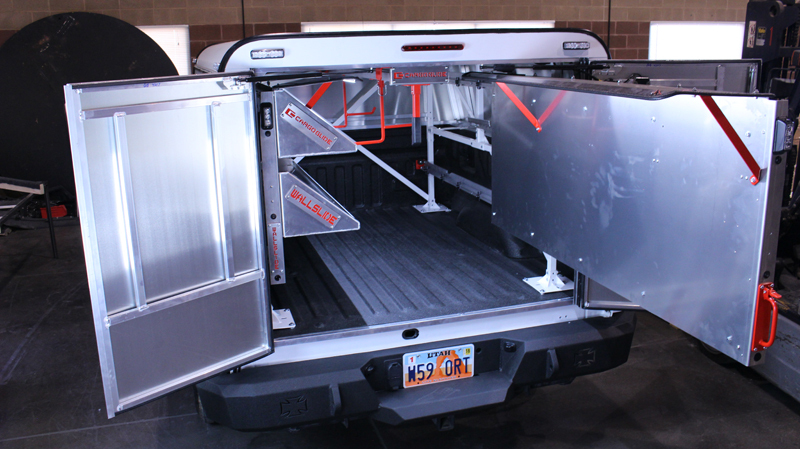 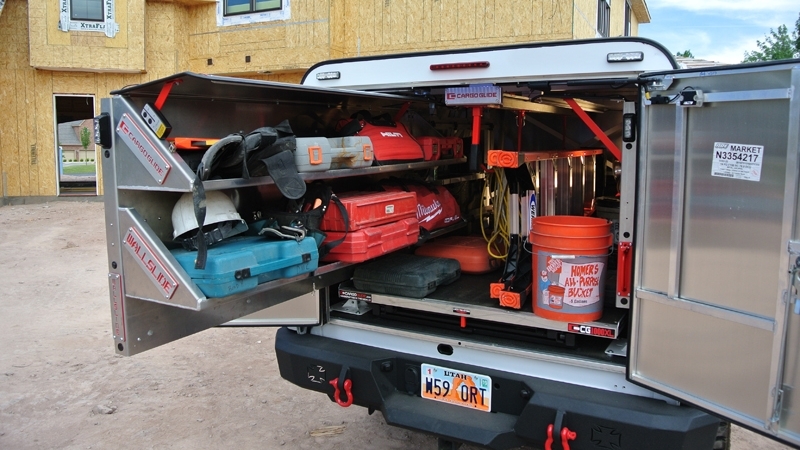 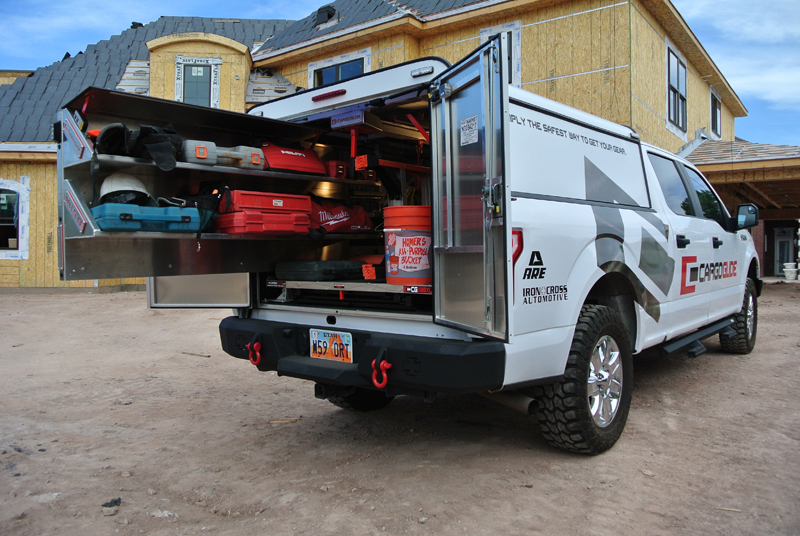 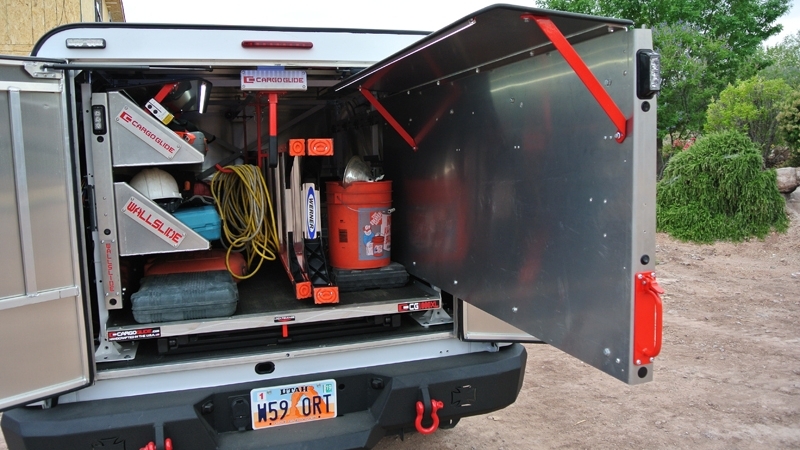 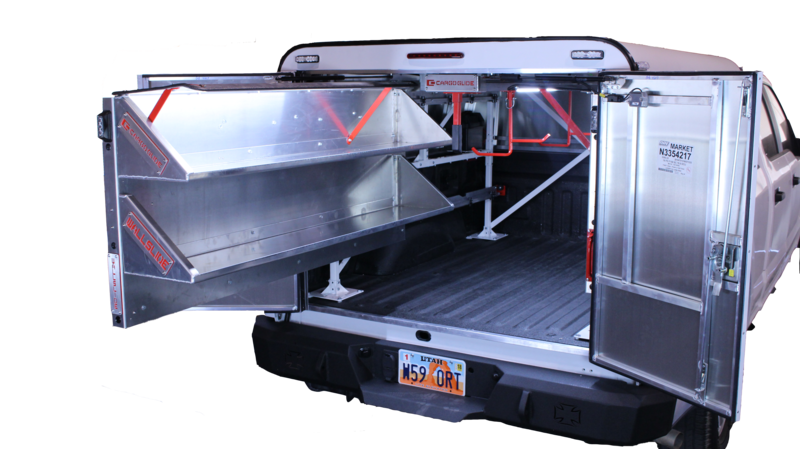 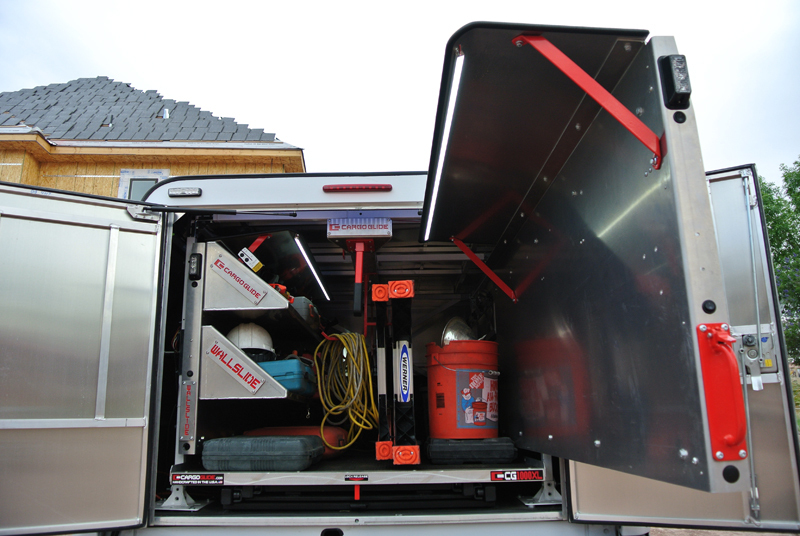 The Truck WallSlide system is a steel framework mounted inside your truck. 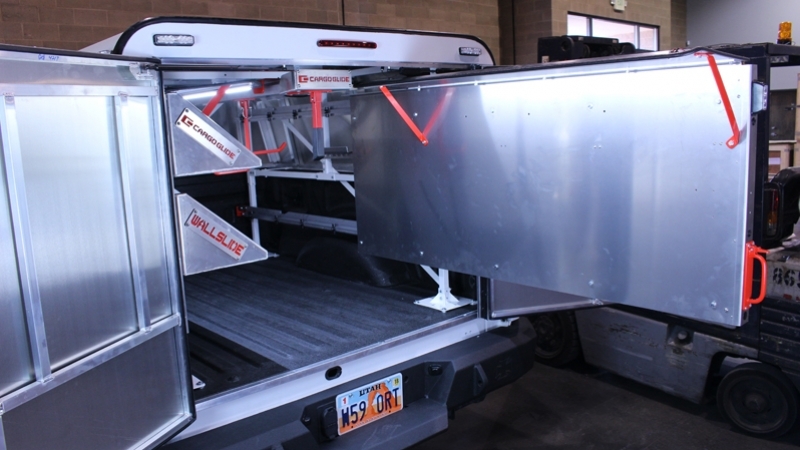 Aluminum bare walls slide in and out on the framework. 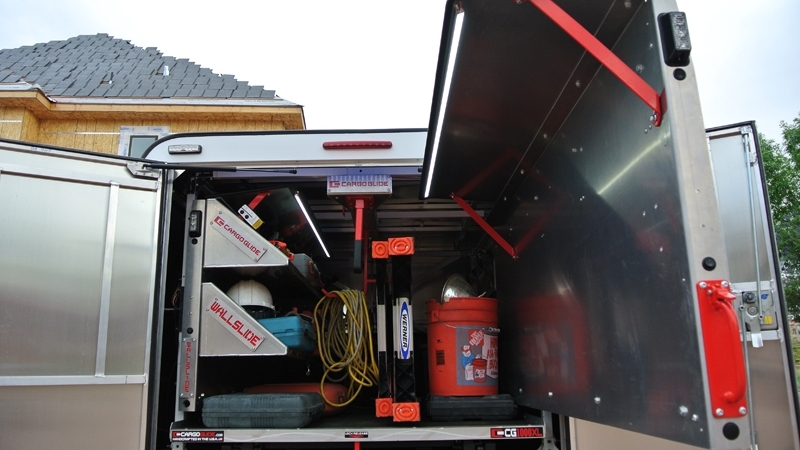 Truck WallSlide comes with bare walls which allows the user to customize their walls with any shelving, bins, or containers they wish. 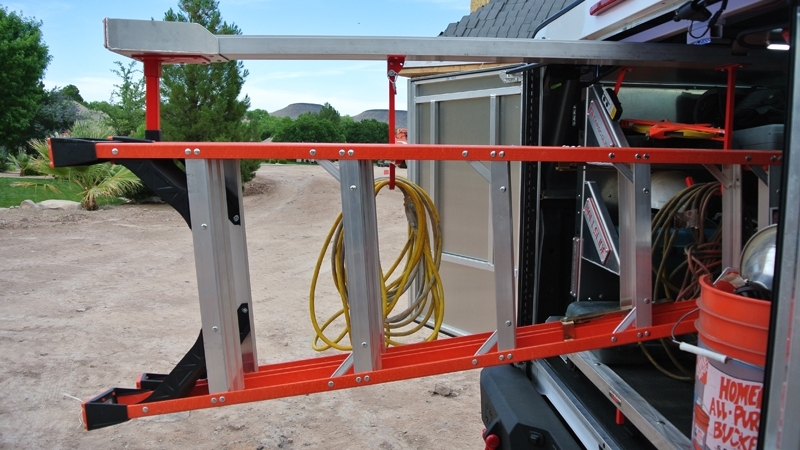 Truck WallSlide can be manually or automatically driven! 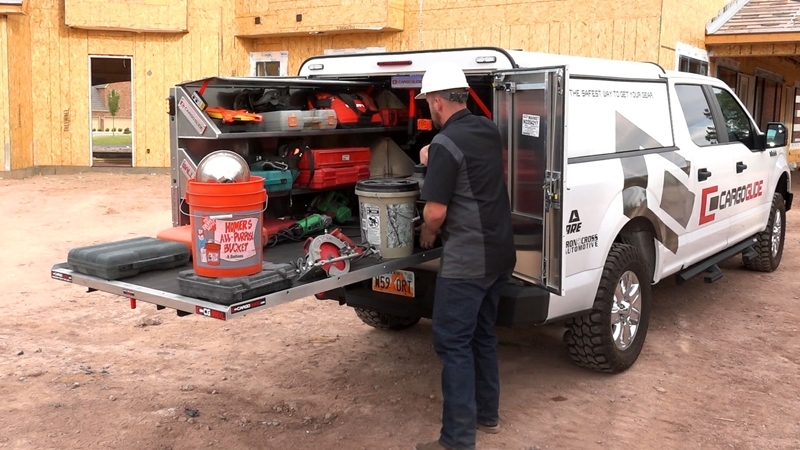 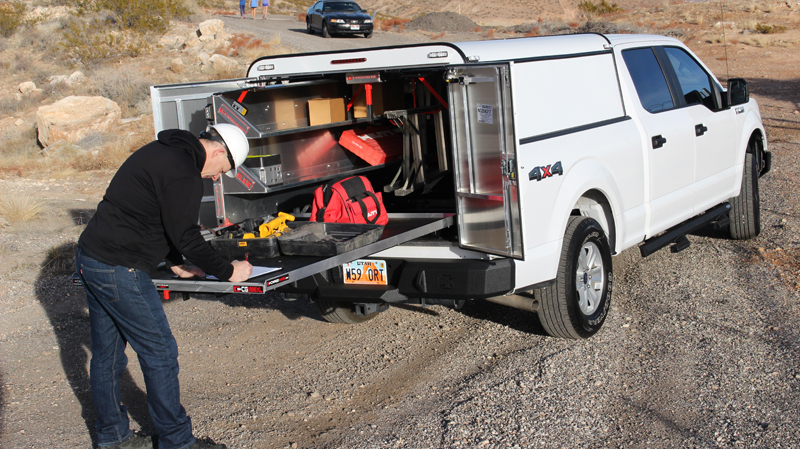 Additionally, a rolling CargoGlide truck tray on your bed floor, and a mounted ceiling slide mechanism will allow you to retrieve anything needed on the floor, or ceiling surface. 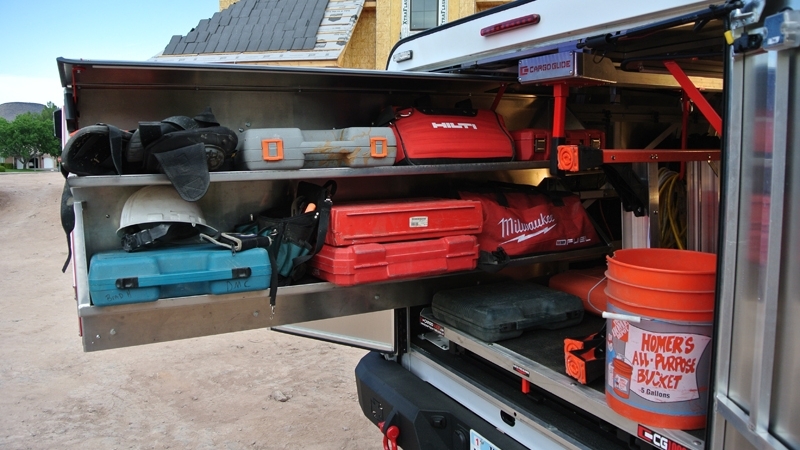 You will never have to get in and out of the back of your truck again. 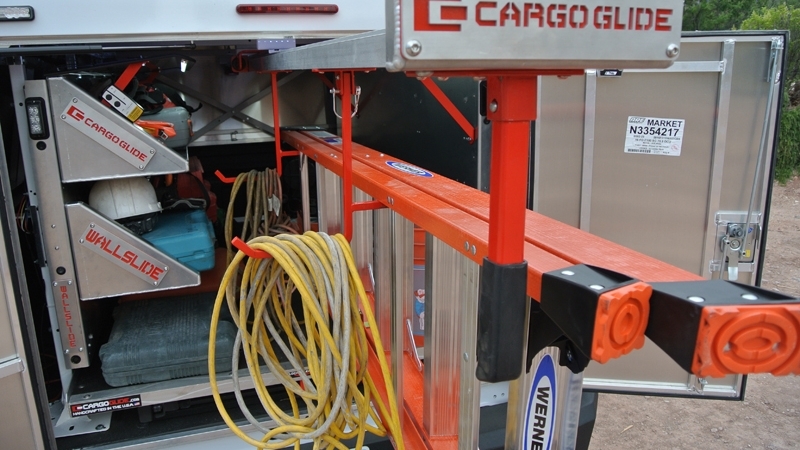 This significantly reduces the risk of injury and drastically improves the efficiency of your work vehicle. 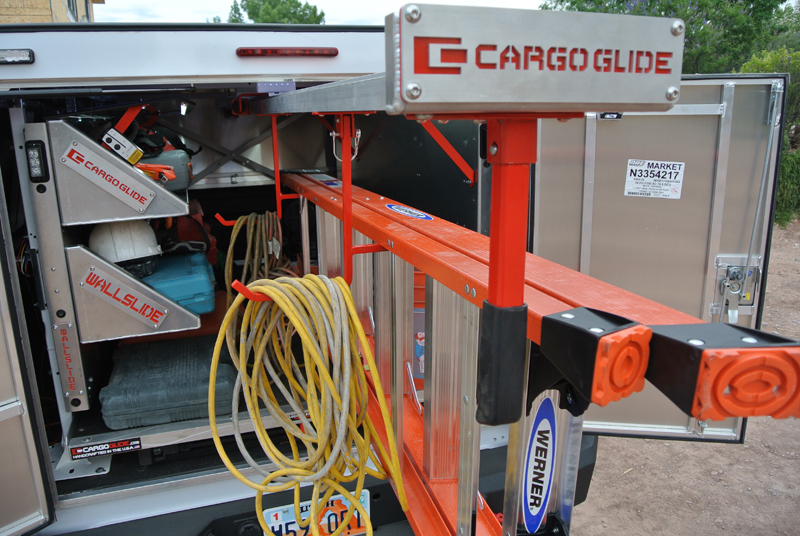 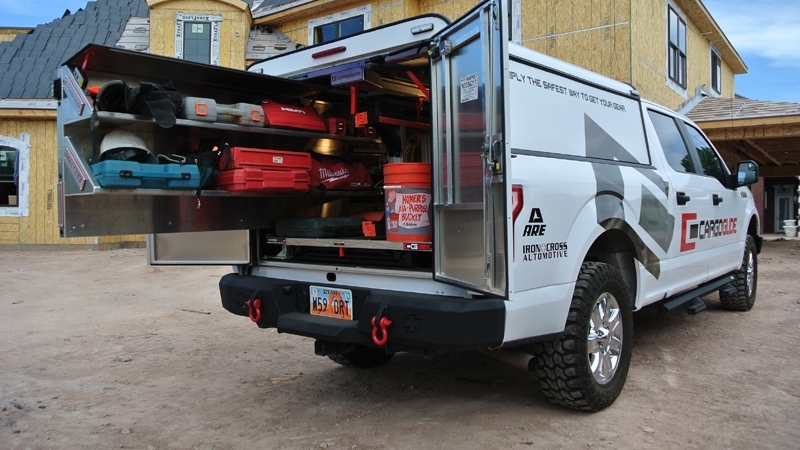 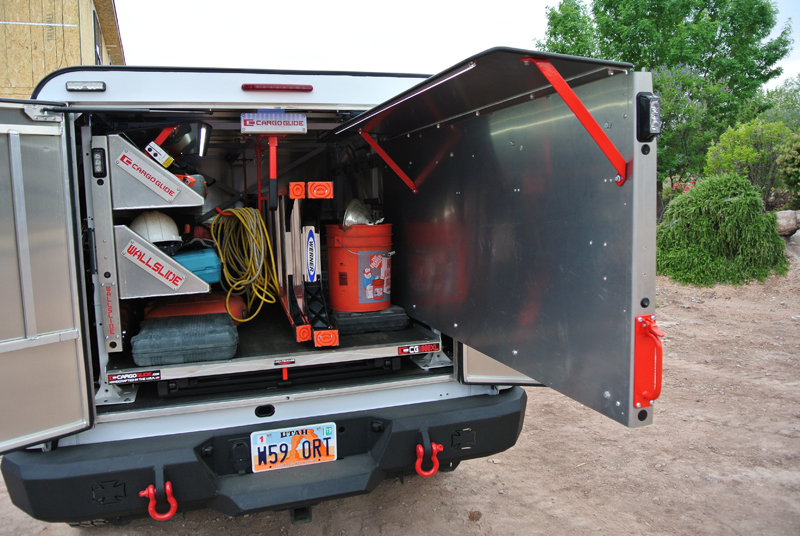 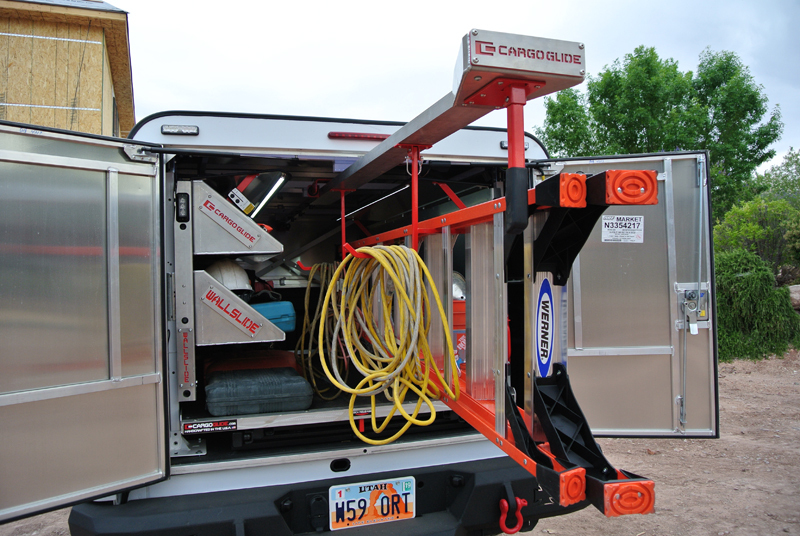 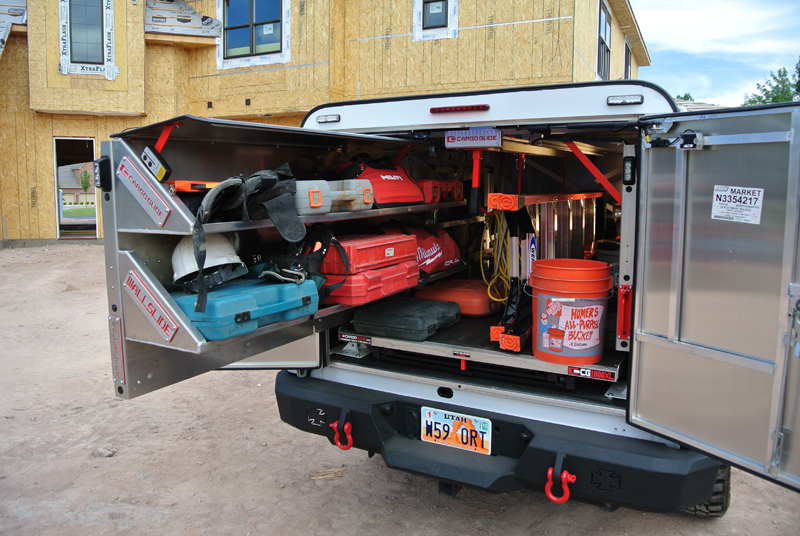 CargoGlide Truck WallSlide offers premium organization and orderly storage for diverse equipment, tools, and packages. 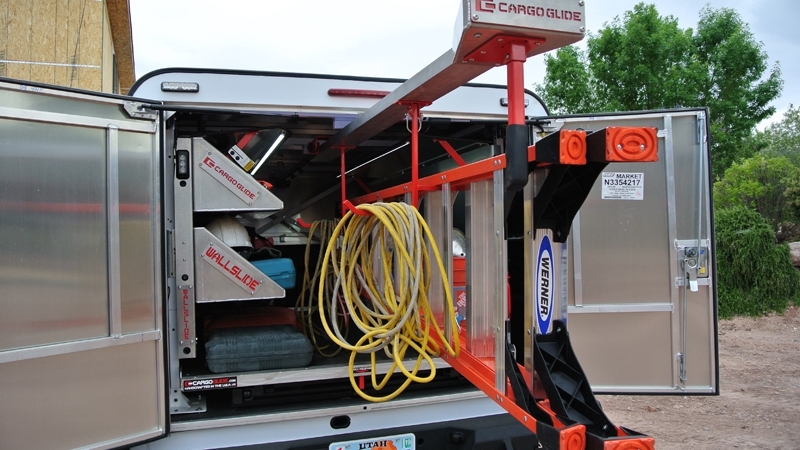 Whether you are hauling heavy loads, making dozens of deliveries, or completing service calls for your customers, CargoGlide is simply the safest, most productive way to get to your gear.